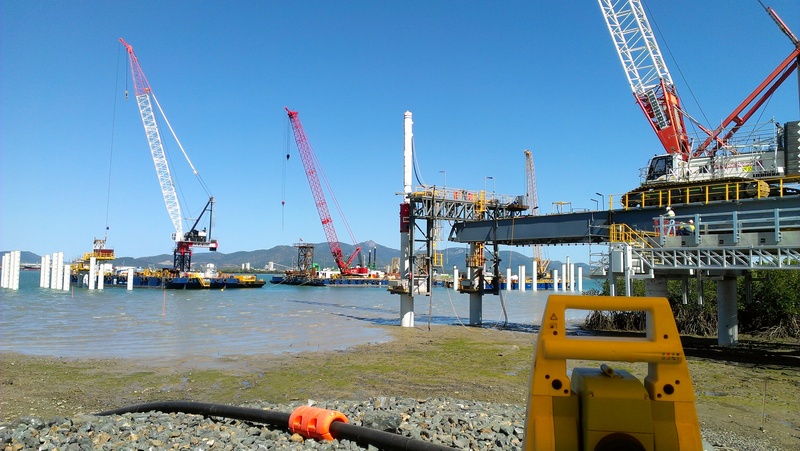 The first project was the marine offloading facility for passenger and equipment transportation between the mainland and Curtis Island. 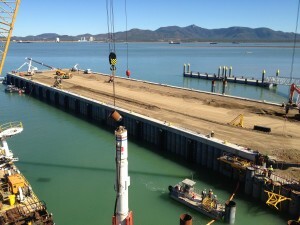 The facility consists of a 137m heavy lift dock, ferry floating docks, mooring dolphins and link span as well as a module dock, heavy haul road and lay-down areas. 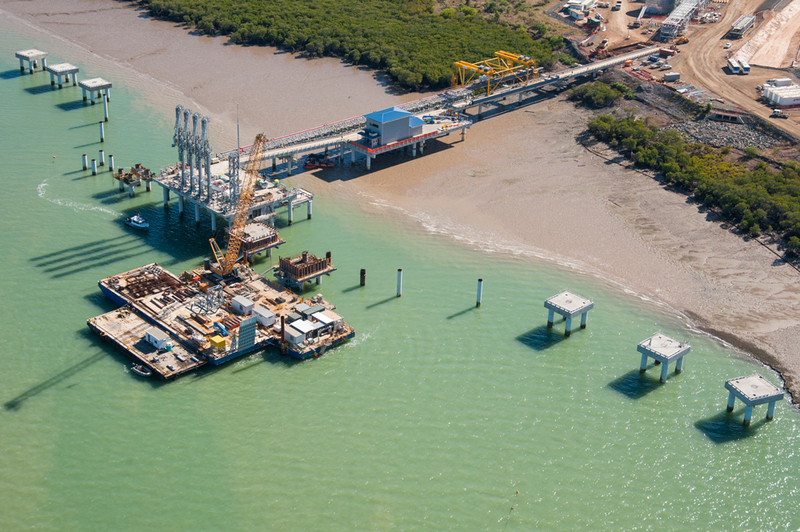 The second project was the jetty which facilitates the loading of LNG cargoes. This project consists of a land and over water component with the platform section of the jetty being some 200 metres into Gladstone Harbour. As up to four different components in different areas were being constructed at the same time some very unique engineering and surveying solutions were implemented on the fly. 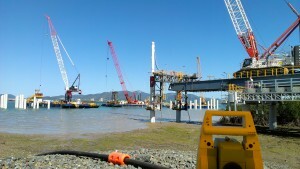 The jetty consists of berthing dolphins, loading platform, gangway towers, walkways, pipe racks and Terminal Building.